The company's goal is to provide accurate, objective, honest and fair representation of properties, both the good and bad points. We can only provide information as it is given to us by the cottage Owner. We hope you have no cause for complaint, but if you do, it is essential that you let us and the owner know right away. 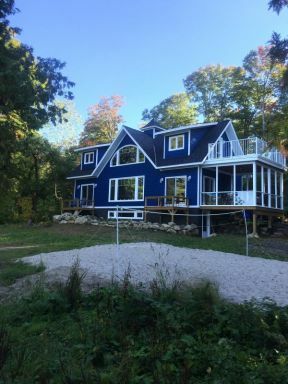 You have been provided with the name and telephone number for the Owner so if a household item breaks down, is not working properly, or you have a complaint about the accommodations, please contact us AND the cottage owner immediately. Please do not wait until after your vacation to let us know there was a problem as we are unable to accept complaints after the fact. 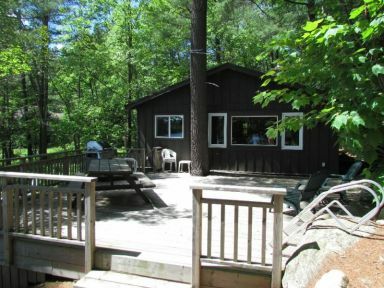 Vacation Time Real Estate and the cottage owners it represents do not recognize as cause for complaint any event concerning weather (e.g. storms, rains, unseasonable temperatures etc. ), or, lack of electricity or water supply when these defects were caused by breakdowns repaired as soon as possible, or, when supply of same depends on a public utility and/or government agency. In Muskoka, power outages do occur. If they are out of our control ie: a storm, the renter is not entitled to any refund of rent. When a problem does arise, which fortunately isn't very often, we'll do our best to try and resolve it to everyone's satisfaction. However, renters need to be aware that we do not own the properties being rented. We act as Agent for the owner under a limited agency agreement. This agreement does not give us the authority to refund monies (which are paid to the owner on the start date of the rental), relocate you to another property, or, authorize work on a property without the consent of the property owner. When you make a booking through our Agency, you are effectively making a contract with the owner of the property. As stated in Clause 2 of our Terms and Conditions of Rental we '...give no warranty as to the state of the Property and accept no liability for any act, neglect or default on the part of the Owner..'. This being said, any property where a problem has occurred that we have been unable to resolve due to some neglect on the part of the owner, may be dropped from our inventory. Any request for a refund must be given to the Owner. We continually strive for improvement in our services. To help us serve you better in the future, we provide survey sheets at the beginning of each rental. We urge you to complete and return these as we do read them carefully and also pass relevant comments on to the property owners. Please remember that these are cottages and things can and will break down at some point. Some cottages are better maintained than others.